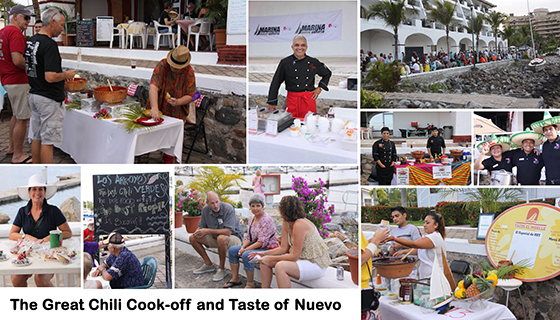 The 16th Chili Cook-Off & 4th Taste of Nuevo Vallarta is set to take place next Saturday, December 3, 2016. 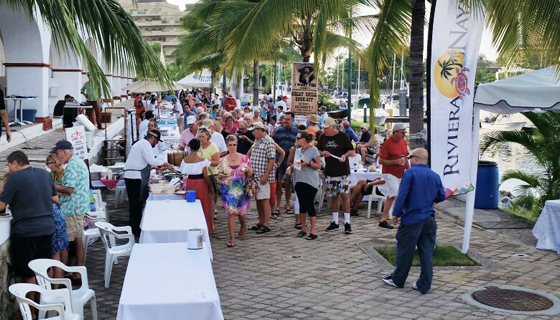 This is a charitable culinary event organized by the Vallarta Yacht Club (VYC) and its group of volunteers, along with the support of the Riviera Nayarit Convention and Visitors Bureau (CVB) and the important donations in kind from all of the participating restaurants. The stands will be at the Marina Nuevo Vallarta boardwalk from 3:30 p.m. to 7 p.m. The dynamic is quite simple: attendees buy tickets for $30 Mexican pesos each, which they can then exchange for tastings or beverages. Chili is the main dish, but the restaurants will also offer their own specialties. About a week out there are already over 20 restaurants and individual groups registered; that number is expected to exceed the 29 stands that participated last year. In fact, they expect 40 stands this year. It’s important to point out this is a growing event where every new year it exceeds the previous year’s proceeds. In 2014, they raised $60 thousand Mexican pesos; the following year that number had jumped to approximately $90 thousand Mexican pesos. Fully 100% of the proceeds from 2016 will be equally divided between the IFC Cleft Palate Program and the Navy League Toys for Tots Program. This culinary event clearly highlights the support of the Riviera Nayarit restaurants that are donating all their products to benefit those in need. The Sunset Trio musical group will also be there to brighten up the afternoon with their tunes in both English and Spanish.